Our small, and cosy coffee bar awaits you! 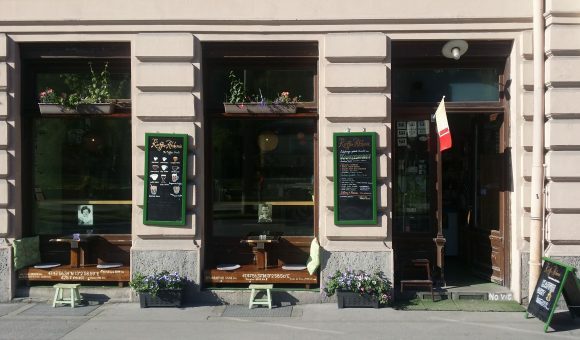 Our guests appeciate not only out great coffees, but also the relaxing atmosphere and the great view to the river Salzach and the hills of Salzburg. Visit us and get the alchemy experience of great coffee! Speciality coffee does not need fancy and expensive equipment! A good manual grinder (in picture: Hario Skerton), an AeroPress (see picture) and cold, fresh water does the job excellently! By the way, coffee geeks gather yearly at the AeroPress championships! John Arild, chief coffee alchemist, ranked as number 5 in 2011! 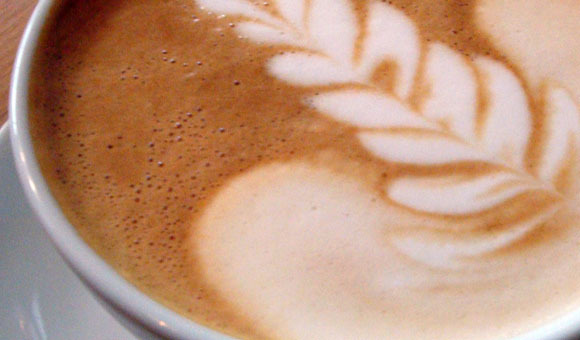 We always aim to give you a perfect cup of coffee! Irrespective of as AeroPress, hand filter, pure Espresso, Cappuccino, Caffè Latte or iced coffee. Enjoyed black our single origins reveal their individual taste and flavour best, fresh milk or cream might nevertheless add another interesting aroma! Try it! Just give me the coffee and noone gets hurt! 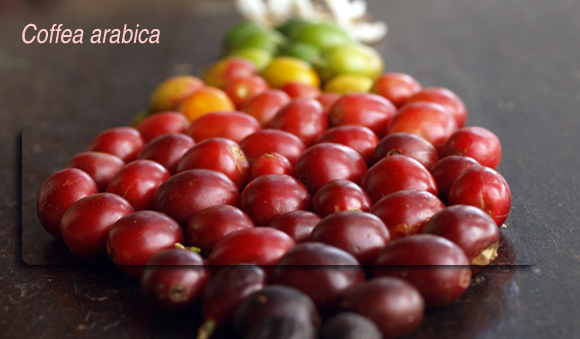 We, the team behind ‘Kaffee-Alchemie’, want to express our passion for high quality coffee; directly and fair traded. ‘Speciality Coffee’ differs from ‘Branded Coffees’ in that it normally comes from single origin and from recent seasonal harvests: we purchase excellent green beans from small coffee farmers who grow and processes unique coffees with great attention to quality. Taste and flavour of such coffees reflect the variety grown, the micro climate, and the specific preferred processing, which are characteristics you will not find in large bulks of commodity coffees branded by importers. You might think that filter coffee is an unfashioned way of brewing coffee. Completely wrong! With the growing attention to Speciality Coffee old and new filter brewing methods became very popular. One of these methods is the AeroPress-method. The AeroPress is a simple coffee maker made out of plastic which uses a small paper filter and "human force" to brew excellent coffee. 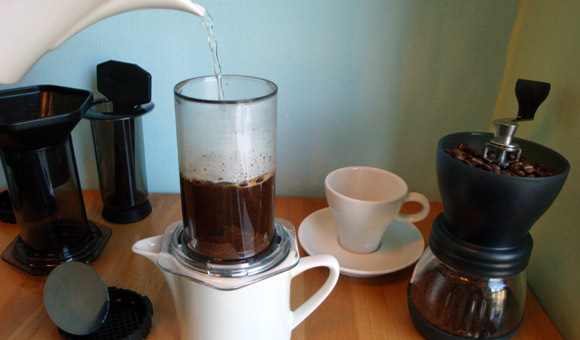 We use this method routinely to brew coffee in our store and it is an excllent method for home use.